Dive gear can often get mixed up on boats especially when disembarking. While there are many ways of marking gear to make them unmistakably yours with your name, initials, or a special symbol, none is easier than using a paint marker. But not all paint markers are equal. In fact, most markers do not provide the permanence needed to withstand sun, sea, and air. Most markers will have their marks on gear fade and disappear in no time. Most, but not the Solid Marker. The Solid Marker is a stick of solidified, industrial-grade real paint that marks virtually any material or surface and is guaranteed to stay on with practically no fading, even after countless dives. The Solid Marker is so permanent that it makes the practice of re-marking gear yearly a thing of the past. Mark once, add a second coat if you like, then forget about it. The Solid Marker is that effective. It also carries the ACMI AP Seal of non-toxicity so it is completely harmless to the marine environment. 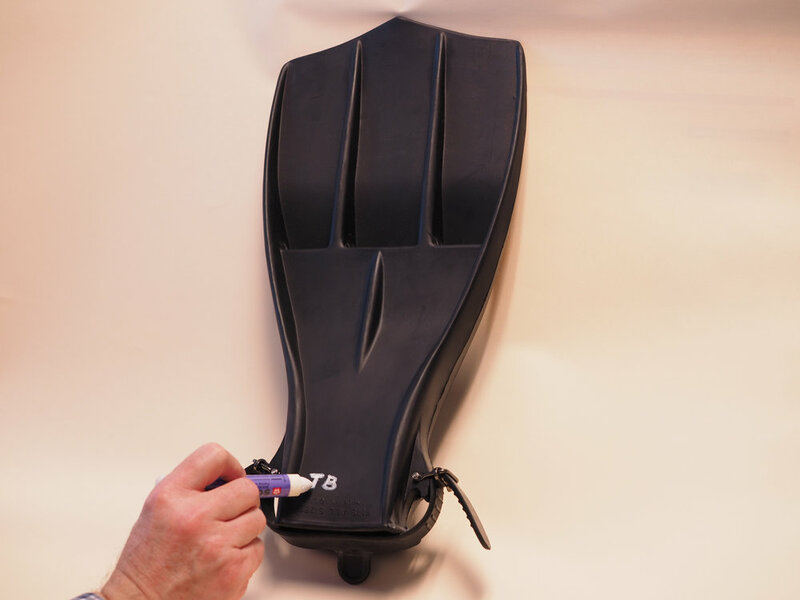 If you’re a scuba diver, mark you gear with the Solid Marker just once and you’ll soon realize why the Solid Marker has become the sport’s preferred marking product. Learn more about Solid Marker here.